I recently bought a used 23 Pacific from a friend. 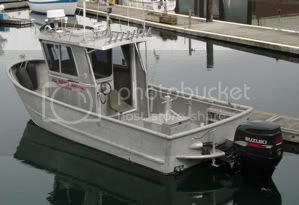 Its a well used commercial boat that has seen a lot of fish on its deck. My plans are to fish it much the same way. I have tons of questions for you guys as this is my first alloy boat. 1. How do you mount electronics and such? I am removing the old mounts and it is a real hassle dealing with the stainless bolts that are frozen in the aluminum. Some of them I have had to grind down the heads just to get the mounts they were holding out. Is this just the nature of the beast, or is there a reasonable solution? All screws were bolted. 2. Pitting on the bottom of the hull from electrolysis. Is there a way to prevent this in the future, and any repair for it without major work? As far as I know, there are no holes through the hull. There are many little pin holes all over the bottom. I really don't care about appearance, I just want the boat to float and kill fish. However, I don't want to ruin a good boat. Will sanding the old paint and applying new help? The boat is going to be used on a trailer so I wasn't planning on painting the bottom. 3. Fuel tank access. Has anyone here had to access the fuel tank on their Pacific? Looking in the bilge hatch on the bracket it looks pretty clean, like I wouldn't have to worry about the tank. It would be nice to actually see the tank though. Has anyone cut an access hatch in the deck to see the fuel fills and such? How much room was there between the deck and the tank? 4. This is something I should call pacific about if I ever get serious. Right now it is just an idea in my head that will probably never happen. It seems there is a lot of empty space in the bilge, particularly in the fwd deck. Has anyone ever thought of making a below deck storage area? Just a daydream idea, but seems reasonable. 5. Mounting trim tabs. 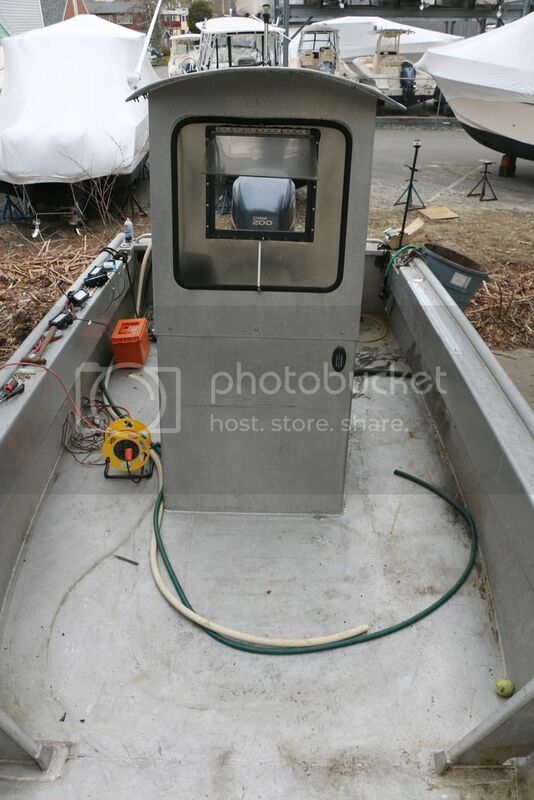 I want to mount trim tabs. I am guessing I would have plates welded on the back just outboard of the bracket for the tabs to be mounted too. Is this the area people normally do this and how it is done? Thanks guys. Im sure I will have many more questions. With NON ALLOY I have always just gone for it, and if I mess up I can glass it myself. I don't weld, so I want to only do things once on this boat and avoid any trips to a welder! I'm sure the resident experts will be along shortly (Kmorin? WelderBob?..) but in the meantime, what year is the boat ? 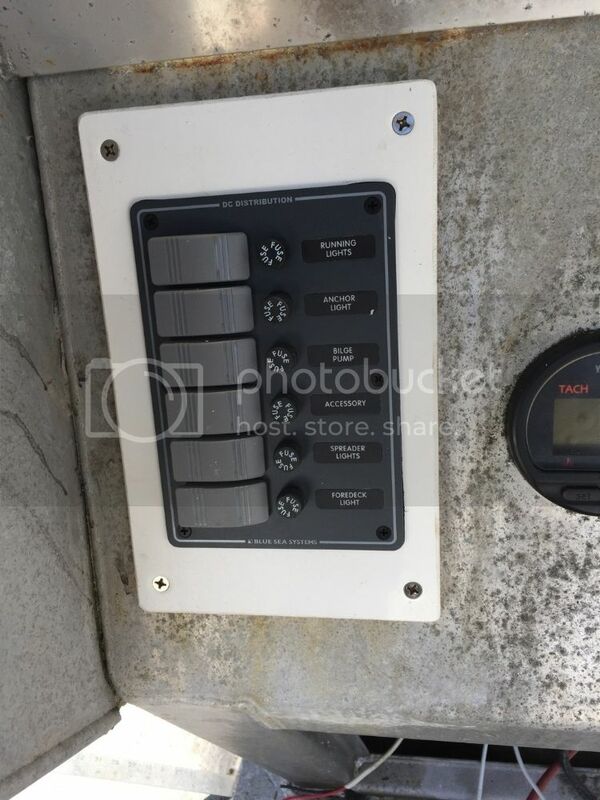 Do you have or can you post pics of the pitting/electronics mounting ? There are several solutions to galvanic corrosion, but Tef Gel seems to be the go to coating for Stainless screw/bolt to aluminum mounting. Fuel tank: depending on year , it will be poly (earlier) or aluminum (later) -if you have a talented welder in your parts (i have Welder Bob), the deck over the tank can be cut off and modified to accommodate a hatch (same for forward below deck storage, though Ive never seen it done on a Pacific) or welded back down as though it never happened. As for trim tabs, i'm not sure, others will have to chime in on that. Good luck with the boat ! Post some pics ! The hull is a 2002. 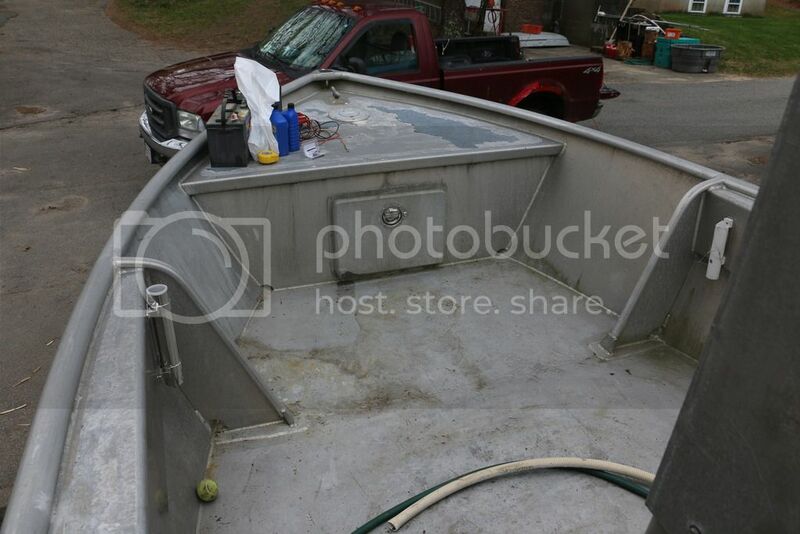 I can get some detailed pics in the morning of the boat in general and of corrosion. I'll be sure to pick up some of that Tef Gel, thanks! I was thinking that would be an option, to cut the deck out to look at the tank. Seems like it would be an easy job for a good welder. It would seem if my tank is poly that I do not need to worry. Another question. Does anyone have any recommendations for a nonskid? Nothing fancy, just something to roll onto the decks that will be reasonably strong. The 02 hull might have the plastic fuel tank. 2. Hull pitting is frequently caused by using incorrect hull anodes or not maintaining the anodes, particularly if the boat was moored for long periods in commercial marinas and the hull was never properly bottom painted. Most Pacifics I work on have a casting on the transom with two threaded studs for bolting on an anode. Its important that you use an aluminum anode, part # is AZHC-2 from boatzincs.com. See pic below of a 20' Pacific I just painted and installed a new aluminum anode on the transom. If your pitting is deep and has pin holes the hull is likely compromised (weakened) so be sure to avoid rough beachings and groundings. 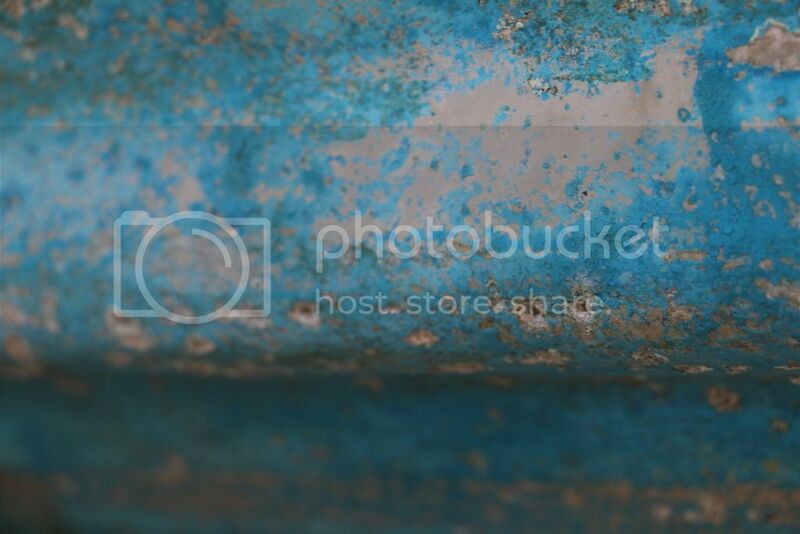 The corrosion in these cases is typically not only what you can see but it eventually starts to travel horizontally through the core of the hull plating making the damage impossible to stop occurring or properly repair. The visible pits can be filled with epoxy and ground smooth but the deterioration that is happening inside the core of the hull plating will continue. Sorry for my late reply. I have been very busy trying to get the boat ready. 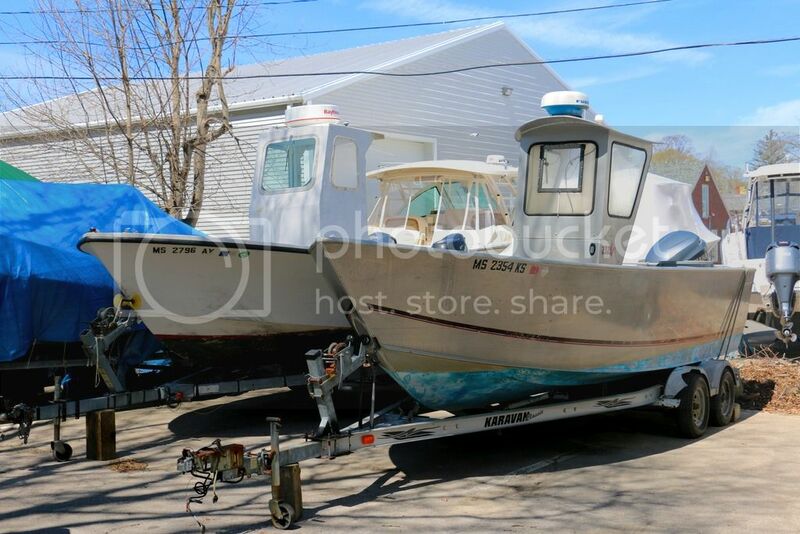 That looks like what I would like to have welded on for trim tabs to be mounted. 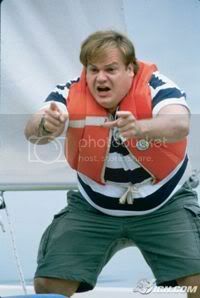 I think trim tabs could help this boat a lot. They are a very rough ride imo, so anything helps. That is unfortunate about the pitting. It was caused by the boat being kept at a marina where there was stray current in the water. All of the damage was done in about the course of one week. Proper zincs supplied from Pacific were always used, but there must have been a large amount of current in the water. I like that last picture showing how the tabs were mounted as well as the raw water pickup for a bait well. Gives me ideas of how these things should be mounted and set up. Lastly, I was able to reach through the pie plate on the bracket with a camera and look at the fuel tank. It is indeed a poly tank, I was happy to see that. 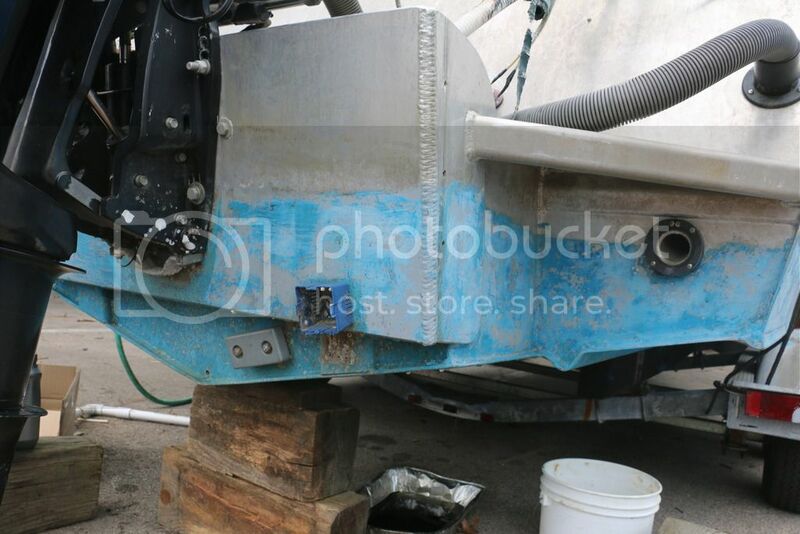 Here are some photos of the boat and the pitting on the hull. The boat is a mess right now. I have been working on the motor, just now starting to think about electronics. Just ripped out the old wires and ready for new. I found a spot in the bow today just fwd of the console where the hull seperated from the stringers. Im really not concerned about it at all, just weird that the welds broke. I am open to any ideas on how to rig this boat up. I will be mounting an Airmar TM260 on the starboard plate on the bracket. I need to make a mount for a livewell pickup. I might hold off on welding tab mounts on until I have everything running right. Another question, do most of you have bilge pumps in your pacific? This one does not. 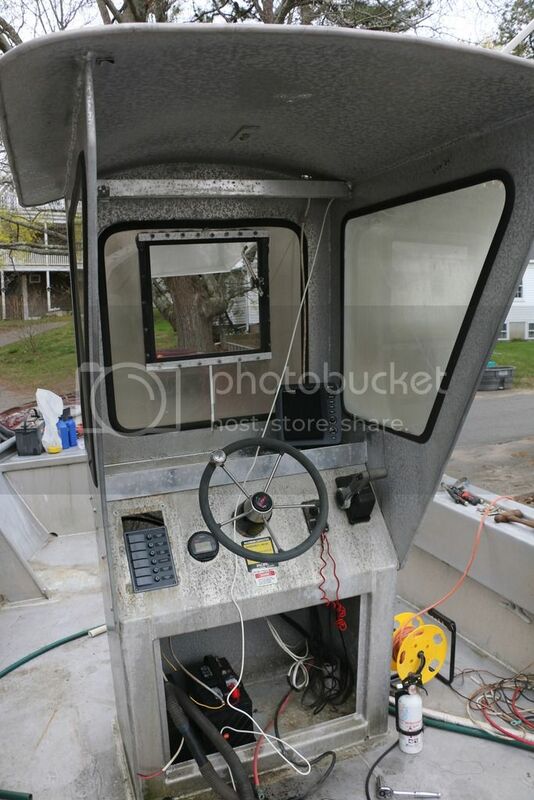 Looks like I could run a hose and some wires down into the bilge where the fuel hoses enter the bilge. Not sure where I would put the thru hull for the water to pump out after though. Stanley, I think the tags [ img ] (expanded to show as text) and end tag [ /img] need to be around each separate file location- not around the entire group of locations... so [img ] location#1; image one [/ img] and next and so on? When I tried to edit this long list of link strings the site's software said the size was not determined? I'd guess that's a way of saying that each link needs to be to an individual image otherwise they appear too large to post/display? Just my take, maybe give the posting instructions a read? Most of mine show up OK using the tags on both sides of the link string. I only have photo image file storage on Photobucket, and only link from there so my suggestions may not apply if you're linking to another account? I was using google photos before, trying photo bucket now. Odd because I can see all of the photos I posted earlier. Yeah, those previous photo links were taking me to a google sign-in page which I'm not a subscriber to . . .
You've got some serious pitting there. The thing that jumps out at me is the transom anode looks to be totally uninvolved in protecting the hull, it must be zinc which means it has not worked a day in its life (like my brother-in-law). If you look closely the anode on the bottom of the Yamaha engine bracket is pretty wasted which would indicate that it is an OEM aluminum anode and it is trying to protect the entire boat. I'm also suspecting the boat was painted with a conventional copper bottom paint which likes nothing better than to rot out an aluminum hull. To enjoy whatever life may be left in that boat you'll need to thoroughly sandblast the bottom. If it stays dry after the blasting then quickly coat it with Pettit AlumaProtect then fill all the pitting with an epoxy fairing compound, fair the compound, recoat bare areas with AlumaProtect, apply three coats of epoxy barrier coat primer, paint with a non-copper bottom paint like Ultima ECO or Flexdel Armor. If the hull pits weep water after its been sand blasted prime it with Flexdel water based aluminum hull primer #190 (two coats) then a water base non-copper bottom paint like Pettit Hydrocoat ECO. Finally, install an aluminum anode on the transom & avoid hitting rocks or doing hard beachings on rocky shores. Stanley, sure does show some serious pitting. I'm not sure if it leaks yet, or not? But I'd want to see that blue (copper containing??) paint off the hull and try to understand the extent of what sure looks like galvanic pitting? Once cleaned, and Chaps is spot on- blasting is The method for really cleaning the hull, then you'd be able to decide what to do? Chemical stripper is next in line if you don't blast and mechanical brushing or buffing last but nothing will clean as well as the abrasive blast; it will clean out lots of pits too, so if there were plans to try to TIG up some of the worst pits (?) the blast would make the less work- even if it is a lots of work any way you look at it. Pretty extensive but not catastrophic pitting beginning in cabin surfaces too- mill scale looks like it was left on? So she's a candidate for a real clean up - hull bottom first -assessment of her future; then onward and upward. Thank you guys, that was very thorough advice and exactly what I needed. I appreciate it a lot. That is an anode purchased directly from Pacific that is almost brand new. I have the old one (it was sitting in the boat) and it looks just as eaten as the one on the motor. I was told that the gas dock which the boat was tied to had a loose wire hanging in the water. In one week this damage was done. Im sure it got worse afterwards, but the anodes were eaten in the span of that week. The trim tab zinc is actually gone, along with the bolt that holds it in place. Boat got eaten pretty bad that week I guess. As for paint, it is non copper paint with primer. I have yet to put the boat in the water to look for leaks. The boat has never had a bilge pump, but I want to instal one now that the hull is compromised in its strength. I plan to snake a outflow hose and wires for the pump through the same opening the fuel fill/feed uses. I will start seeing who can blast the bottom. Will it protect the hull any from future corrosion if I layer the paint thick? I plan to trailer primarily, but the boat may be kept in marinas occasionally. Kevin, I am not sure how to tell if the mill scale was left on. The top of the console was an aftermarket addition not put on by Pacific. IMO, it was not built right, so I would not be surprised to hear that it was not removed. I am not too worried about corrosion there though, the main purpose of that "doghouse" is to keep me dry. Stanley that's why is looks like copper galvanic corrosion it was (likely) stray current big time. If you get her blasted and follow around with a sharp awl or steel long point scribe - push in the worst holes to determine if they're only lined with tinfoil and you can judge what to do from there. If you blasted, etched and rinsed a couple times, then put in some primer (ask Chaps for recipe) and then instead of putting the bottom paint on directly look for a super high build primer- this would be used to fill most of the pits, at least to the surface, the blast and etch would help clean 'em out - then heating the entire boat to 80-90 F for day or so before paint processes will allow the key moisture ingredient to dry out and leave the remaining uncleaned pits 'inactive' -semi-inert due to lack of water to catalyze the cell. Then painted and heavy build primer (coal tar? ask Chaps) and then the final bottom paint coat. She should be reliable unless you've got so much pin holing there are entire panels at risk? Bilge pump details would have to come from pacific or someone who knows the boat. Or much more detailed photos and we'll take a wack at advising. Ok, sorry about the assumption that the anode was pre-existing. A full restoration process including blasting, pit filling, epoxy coating and anti-foul coating stands a good chance of preventing further pitting since your hull will essentially be isolated from future salt water contact. On the other hand if the deep pitting is serious enough that corrosion and moist contamination is not completely rooted out by the blasting then some deterioration is likely to continue in the innards of the hull plating. Kevin's idea of heat drying the hull after the blast is a good one even if the bottom doesn't appear to be damp. A few thing to note on the hull, just observations and food for thought. I put the boat in the water the other day for a quick run. There are no holes so far as I could tell. The boat has never leaked in the past, but it has been sitting for 5 years so I was concerned. I was very glad it is not at the point of seeping through yet. I was chatting with a welder today who was advising against having the hull blasted. Before I go on it is important to note that he did not see the hull, I was just talking to him. He was telling me that if I have the hull blasted it will drive the impurities deeper, making it harder for a weld to adhere. He said that he would prefer to drill out bad areas and fill them in. My thoughts would be that I should have the hull blasted to strip all the paint, and if he plans on drilling out before he welds, then why would it matter if corrosion is blown in? He also showed me a POLYESTER coated aluminum fuel tank. I know, huge difference between polyester and epoxy which you guys mentioned. 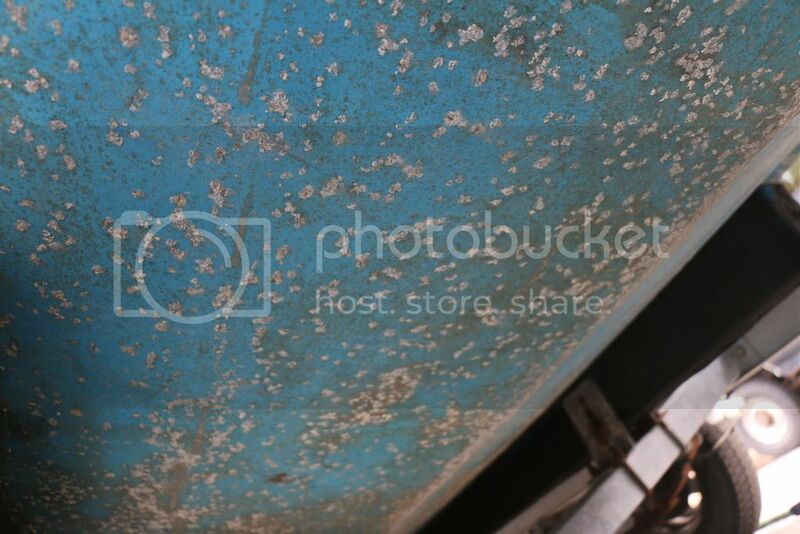 Anyways, the tank was horribly corroded. He said the polyester and aluminum expand at different rates, creating a void which traps moisture. Would it be concerning that the same could happen if applying epoxy to the bottom of the hull? A fuel tank swells when it is full, where as I don't see that much movement in the bottom of the hull. Stanley, I can't agree in practice with the idea that blasting buries particulate- the speed of the blast actually erodes the surface and that is how it cleans so while it will dig, well done blasting doesn't really act to contaminate- maybe he's had experience with inadequate air, low pressure, wrong nozzle, too large a particles used, or some other issues but the idea is not fundamentally accurate. The pin hole/pocket/corrosion site cells will largely be scoured out by blasting. If anyone is going to do any welding they'd use a carbide burr and cut the pin holes into cones so the arc will reach the bottom and still 'close' to cleans surrounding metal. A drill bit is going to make a cylinder and that's much harder to fuse overhead than a conic impression. Last, some pits create a cavern below the surface with just a 'spew' or vent riser and I think I've even posted that around here somewhere? Anyway, I've done about 3k overhead pin holes in a couple different 'lost' boats and recall some 'burred' out holes that blew up, making a mess of me, my tungsten, and the boat bottom (1" wide crater) so no matter what you do, if there's going to be welding its going to be a pain in the stern. I did them "ala Michelangelo" so if there's any way to get the cabin off and roll her keel up it will pay you some serious wages. drilling or deburring with cone bit- there's not much way to get to 100% clean metal in all pit filling operations- they're the pits- but you knew that. Adhesive Film is an entire engineering discipline- I'm not going to try to educate you there- too much online you could find to help upgrade your apples-to-alligator-droppings comparison between the elastomeric polymer films. Suffice to say the world uses layered epoxy films, they work. Most other 'stuff' doesn't. If a fuel cell expands then it means it will contract- that is poorly designed and not well built. The tank will fail. Tanks, like boat boats should be rigid not flex or change shape- unless inflatables or bag type tanks. Tanks - hulls = no difference if well made. speaking of horribly corroded!!! That dash/instrument panel is horribly corroded!! what on earth happened to that poor piece of aluminum? Yikes, I think there's more to the story we don't know- that photos shows some serious corrosion! Not sure if I'm of any help, if you're going to find local shops to do the work, likely best not to tell them someone online is advising you differently than their ideas? I know they may not see things as others do, but if they decide not to do your work, (and it looks like you need a bit) it won't do any good to tell them what we think and leave them less than motivated to help your project? Corroded aluminum pitting does not weld very easily and the usual result, as as Kevin put it, is a blow out. Your welder will know within the first minute or two if its going to work and if he is recommending to not sandblast before he has an opportunity to try his craft on those pits then go with that. Since your pitting happened quickly you may not have the hidden lateral corrosion running through the plate that will cause grief for even the best welder so its probably worth a shot. That said, even if things go well with his torch work I'd strongly suggest doing a blast afterwards and sealing things up with epoxy and bottom paint (and getting good anodes on there). I guess I am kind of curious on how corrosion gets this bad? I thought 5086 alloy was one of the the ultimate boat building materials? Or is this simply a boat that was not well taken care of?? Makes me nervous about buying one. I remember back in the BlackLab Marine days when you ordered a brochure it would have a 1 inch X 1 inch square piece of aluminum taped to the inside so you could see what the boat was made out of. There was a short story about how they put a piece of it in the bay & took it out after 30 years, cleaned it off and it still looked like the day they put it in the water. So it makes me wonder what you would have to do to get corrosion that bad on a boat that isn't 30 years old. And then you have to wonder about the problems you can't see, like below the deck.